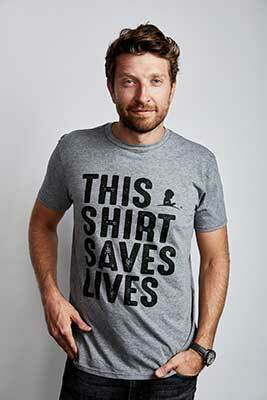 Donate $20 or more with your credit card each month and get a THIS SHIRT SAVES LIVES St. Jude T-shirt as a gift. Show the world that you help save lives. Make your pledge monthly to receive a T-shirt. To receive "This Shirt Saves Lives" (a $25 value) you must agree to have your credit card charged a minimum of $20 each month. Contributions to St. Jude are tax deductible, minus the value of the T-shirt. For T-shirt questions, please e-mail thisshirt@stjude.org. No refunds possible.